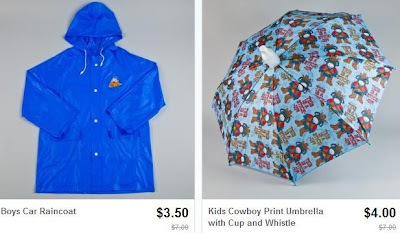 Kids Raincoats & Umbrellas Only $3.50! Wow, head over to Totsy to find kids raincoats and umbrellas for as low as $3.50! There are many different styles to choose from for boys and girls. To make this sale even better, you'll get FREE shipping if this is your first order within 30 days of creating your account! Just sign in or up here and you'll find this sale on the homepage.